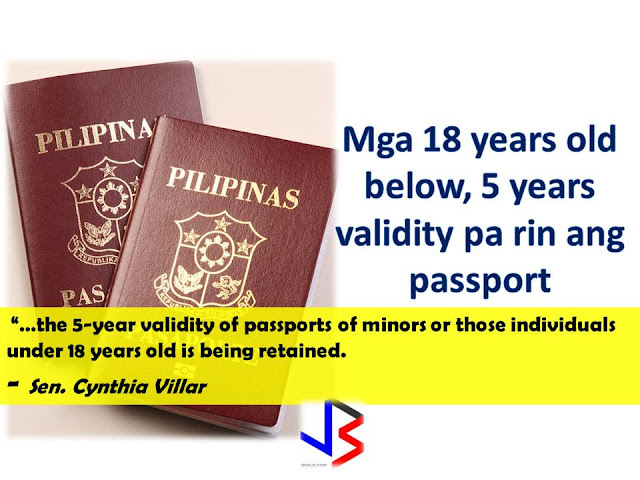 Republic Act 10928 amends Republic Act 8239 or the Philippine Passport Act of 1996. The new law also states that the issuing authority may limit the validity to less than 10 years in cases where national economic interest or political stability is at stake. But do not get excited that the Department of Foreign Affairs will issue passports with longer validities soon. 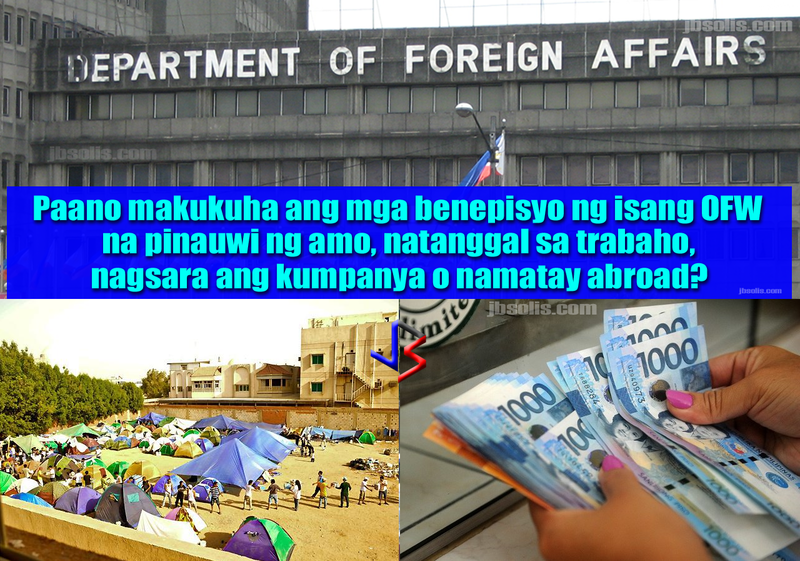 The DFA has to prepare the implementing rules and regulations of RA 10928 first, to ensure that its provisions will be implemented. 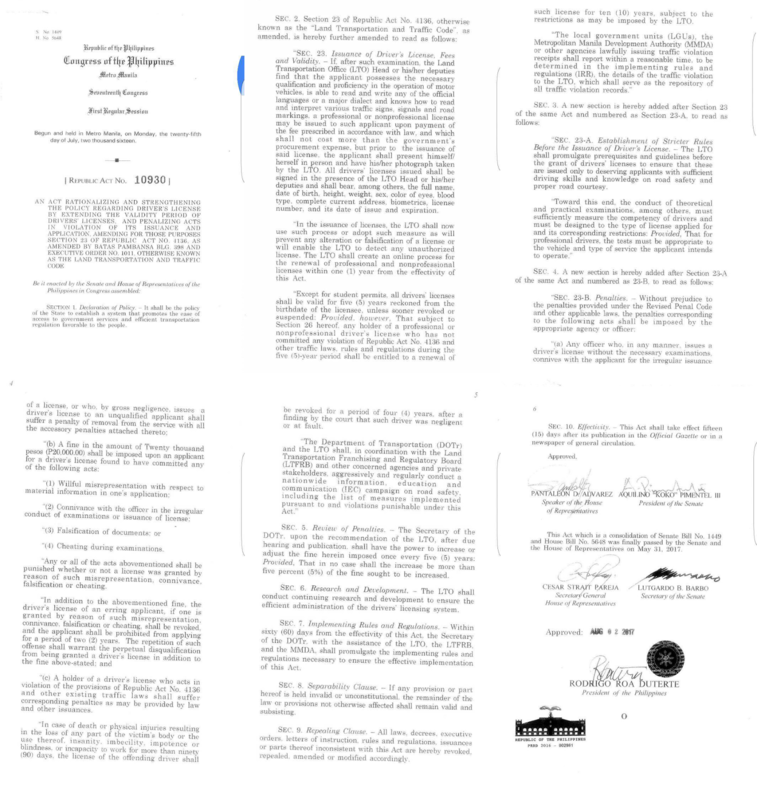 The President also signed Republic Act 10930, which extends the length of the driver's license’s validity to 5 years. 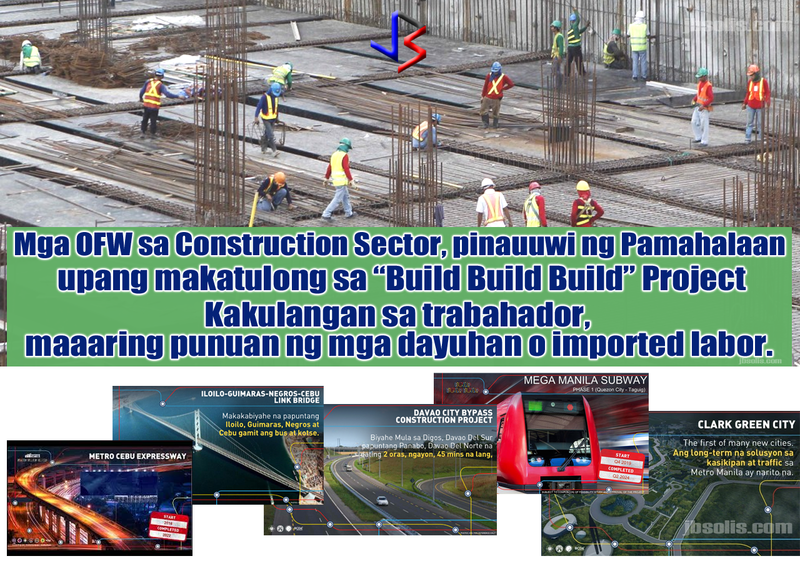 The law amends Section 23 of RA 4136 or the Land Transportation and Traffic Code, which set a three-year validity for the license. “Except for student permits, all drivers’ licenses shall be valid for five years reckoned from the birth date of the licensee, unless sooner revoked or suspended,” the new law says. The law also mandates the establishment of stricter rules before the issuance of driver’s licenses. 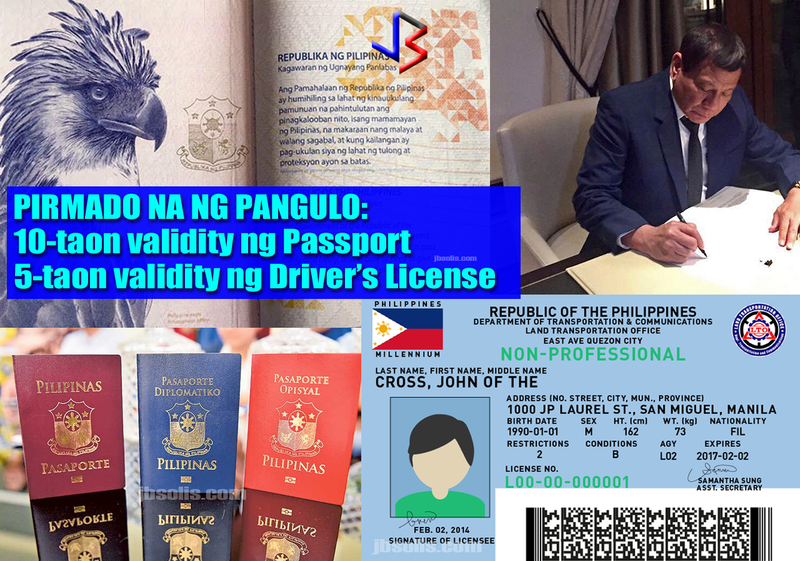 A fine of P20,000 shall be imposed on a driver’s license applicant if found to have misrepresented material information in his or her application, connived with the officer in the irregular conduct of examinations or issuance of license, falsified documents, or cheated during examinations. Both laws will be enforced and take effect take effect 15 days after publication in the Official Gazette or in a newspaper of general circulation. 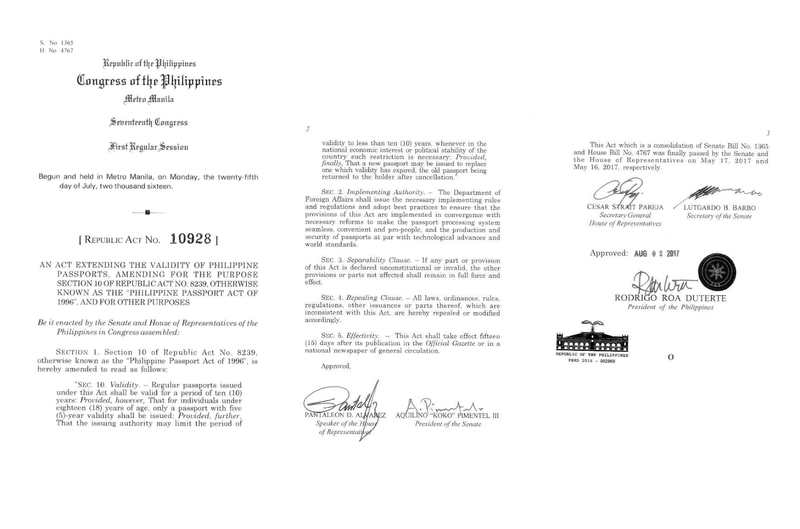 The DFA and LTO will now write and publish the implementing rules and regulations for each of their jurisdictions.